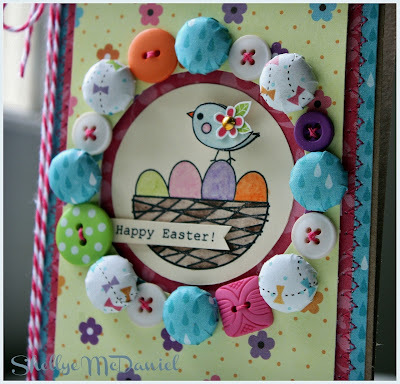 Whimsy by Shellye: Glad to have made it! Glad to have made it! Then around 10:30, there was an enormous clap of thunder and burst of lightening close by...really close by. I unplugged all of the electronics and went to bed! Little did we know that what we had heard struck a house just down the road from us. But by the afternoon today, it was all blue skies and sunshine once again. 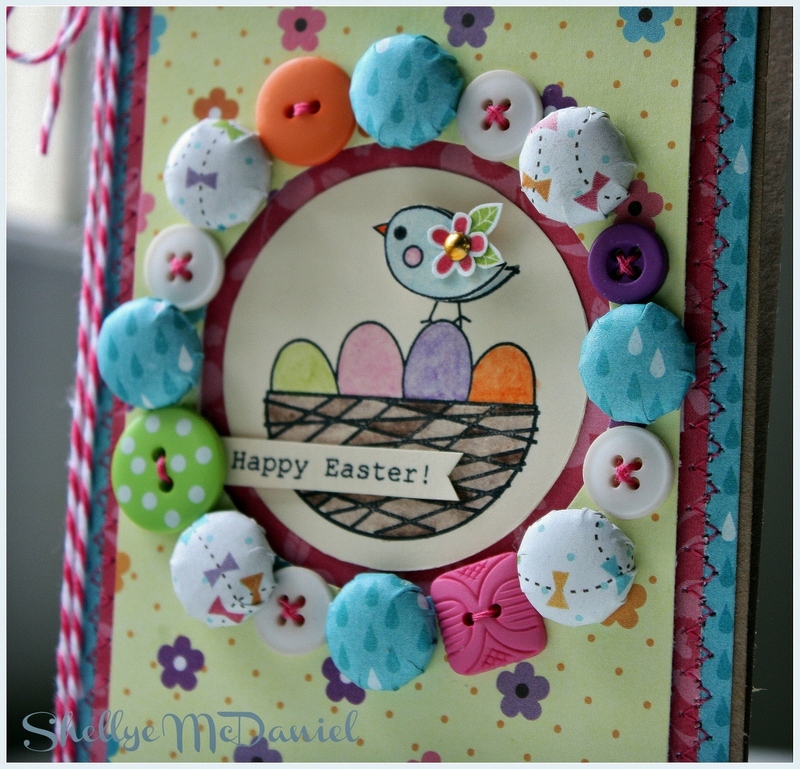 And today featured a buffet of wonderful Easter cards! 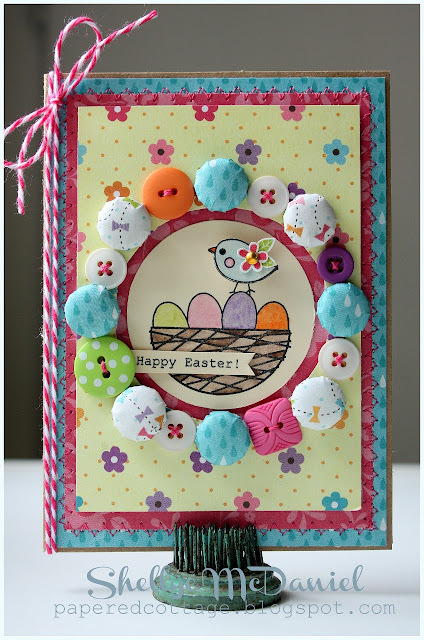 For the border, I used a fun combination of paper covered brad daddies and assorted buttons. Instead of using watercolors on the stamped image, I went for the colored pencils. Tomorrow...it's I Heart Ippity time! This is such a cuet card. Amazing!